Homeowners come up with expensive and elaborate ways to protect their homes, but one area that often gets neglected is the gutters. Your gutters and downspouts are vital for directing rainwater away from your home, so it doesn’t leak in your basement or destroy your home’s foundation. For your gutters to properly do their jobs, they need to be free of debris and gunk that causes clogging. That’s why it’s vital to set up a maintenance routine where you clean your gutters and repair any damages. Consider these tips for gutter and downspout maintenance. The most common gutter clogs are the result of fallen leaves that collect during fall or heavy storms. Other debris results from animal waste, and in some cases, wasps nests. Get up there every other week or so and check out those gutters. If you see any heavy debris, scoop it out and give your gutters a good flush with a high-pressure hose. 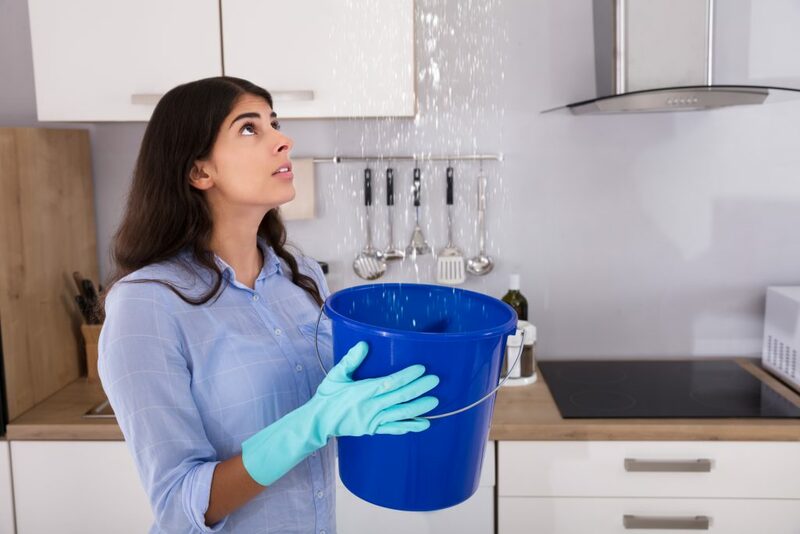 While your gutters might look clean and free from debris, your downspouts can be hiding clogs, which hamper the system’s ability to effectively clear water away from your home. While you’re on your ladder scooping out leaves and dirt, turn your hose onto your downspouts and check the water flow. If the water flow appears to be impeded, you can usually turn up the pressure and blast the clog away. If not, you might need to get some specialized tools or call in a gutter professional to examine the situation. If you polled homeowners, it’s safe to say none would rank gutter cleaning among their favorite chores. In fact, many people neglect this aspect of home maintenance and have to deal with the consequences down the road. Once you give your gutters a thorough cleaning, set up a regular schedule to keep them clean. Set a reminder on your smartphone if you have to. Regular maintenance means you won’t have such a big job if you keep them clean throughout the year. While it’s not fun, cleaning gutters is an easy process, although it is very time-consuming. First, get a good ladder, and set it up on solid ground. If you’re not used to using a ladder, get a friend or family member to help you just in case you need help. Once you get up, scoop out the large debris first. You can use your hands (with gloves) or get a gutter scoop from your local hardware store. Once the large stuff is removed, use your high-pressure hose to clear away any dirt or animal waste. While you’re up there, and your gutters are clean, now’s a good time to check for holes in your gutters or other damage. Use your hose and carefully watch to see if there are any leaks, and patch those asap. Most small holes can be patched with roofing cement. For larger holes, consider calling in a specialist. Frazier Roofing and Guttering is the second oldest roofing company in Grand Prairie Texas,we have over 18 years of experience in roofing and have been happily serving all of Tarrant County and surrounding cities with their gutter and roofing demands. Founded by Rich & Sheila Frazier in 1977, the year that Elvis “The King” left us. Over the years, we have built up our team of Arlington roofing contractors and have become one of the most distinguished roofing companies in the area.